Everyone has a story... YOU have a story and no one can argue with it. Over the years, we have met many people. People from all sorts of walk of life. We meet with all of our couples. There are a few times when we have to video chat with them if they live out of town, but most of the time, we meet them in person. You would think that we sit there and talk about wedding photography, but usually, 90% of our conversation is about us getting to know one another and just talking about life, and we love it! We absolutely love hearing about where they come from, how they met, how and why they fell in love with one another. Through that conversation, we get to learn about their personalities, how they interact, what's important to them and simply what makes them who they are. 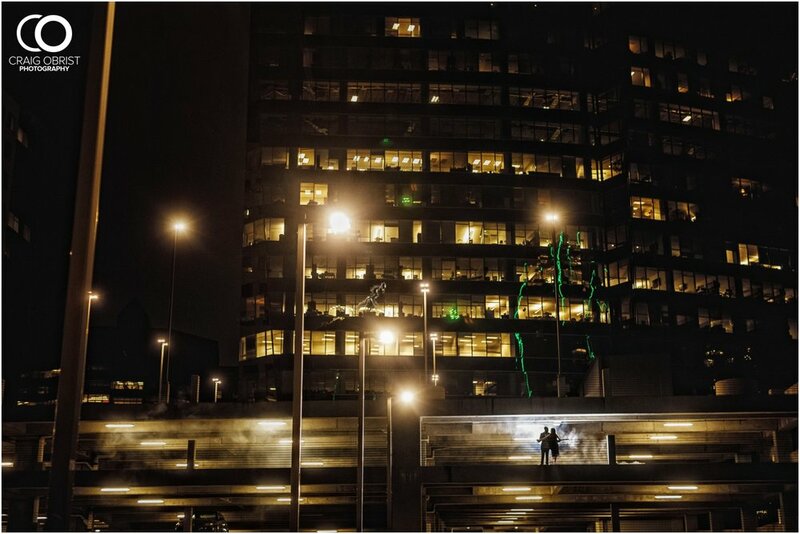 Do these things matter in our photography? You better believe it! Through this process, we understand what their style is and emotionally connect with them. Wedding photography isn't fashion photography where photographers and designers hire models and get it done to sell a product. Wedding photography is about expressing the true love between a man and a woman who will live the rest of their lives together, so yes, how we connect with them is very important. 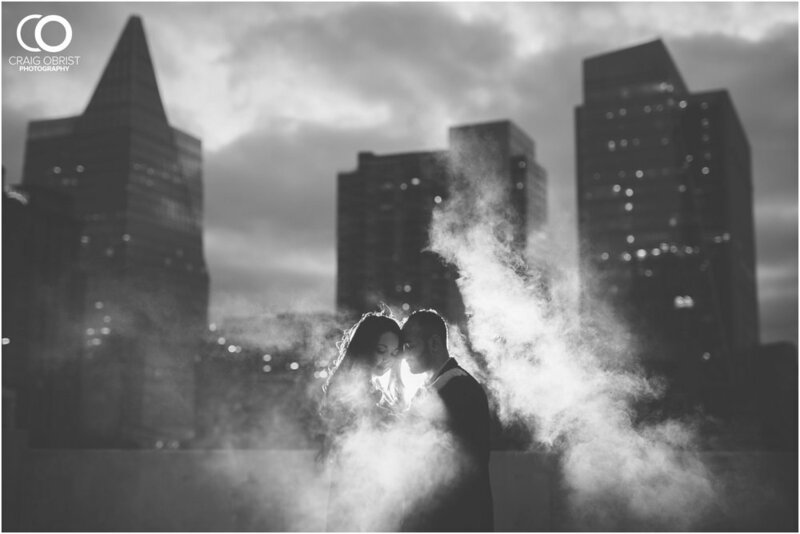 Our next couple, Jensen + Alexis, was very special to us in many ways. We have mutual friends who love them and they have walked similar paths as when we were younger. My wife was able to come to this meeting and I remember laughing so much because we just love their humor! Alexis and Jensen, you guys are so funny! We talked and talked for a couple of hours and totally enjoyed their genuineness and authenticity in everything we talked about. And, did I mention that they're so easy to work with? They are one of those couples that know how to make a decision and get things done. I just can't express to you how much we love and appreciate couples like that. We call them "bada bing bada boom" couples. :) They came prepared and we booked them right then and there! 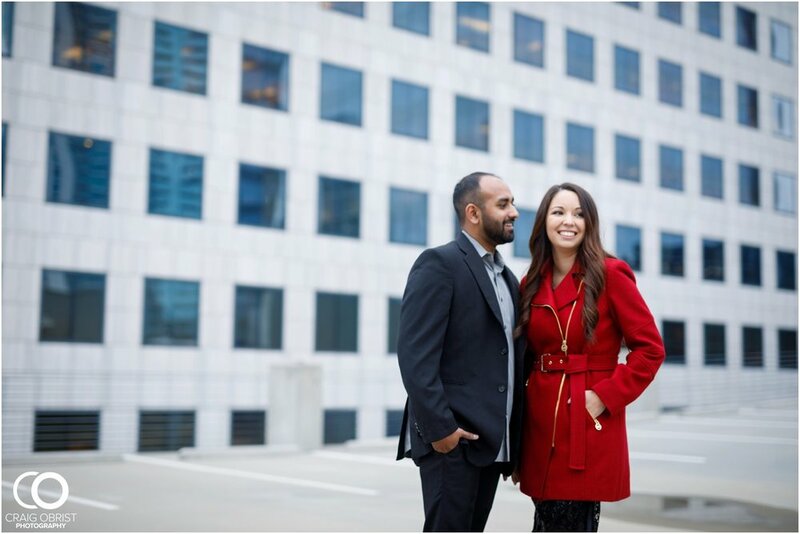 We looked forward to their engagement shoot so much and when the day FINALLY arrived, we were stoked! 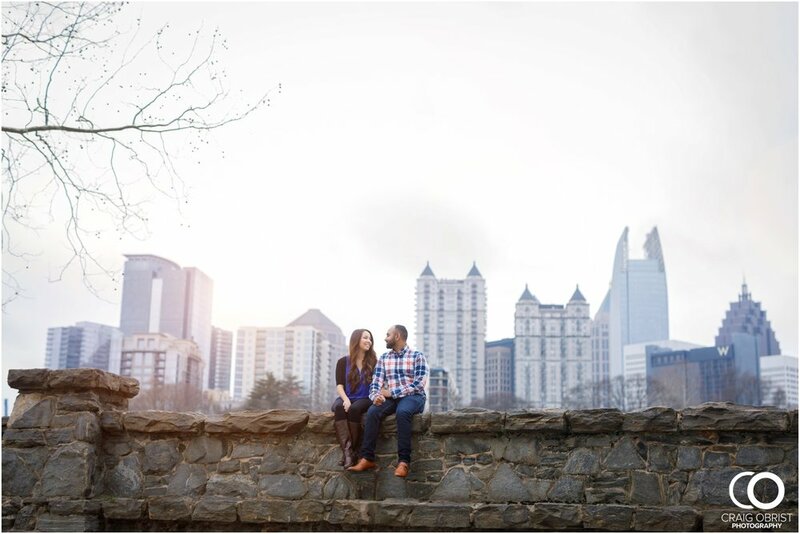 As we walked from scene to scene at Piedmont Park and downtown, we had the best, relaxed time together. 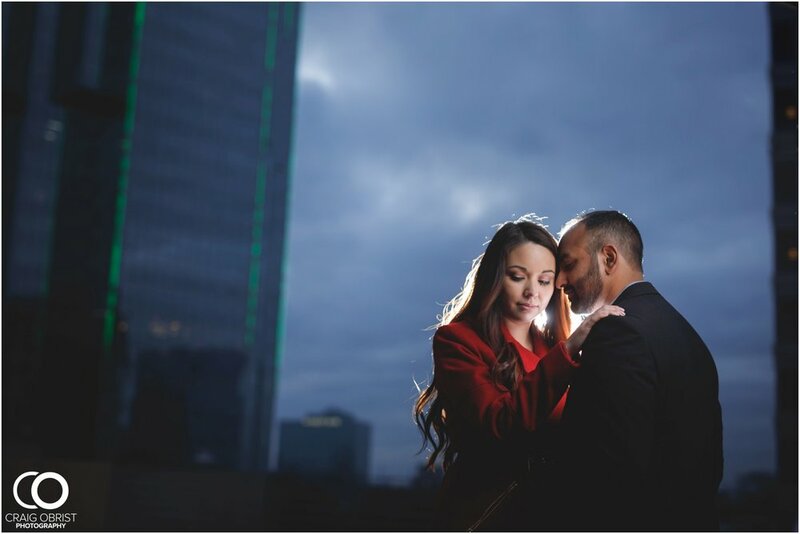 Even though it was a bit colder than we would have liked, they pushed through and as you'll see in the images below, we had the best time capturing this special season of their lives. Don't they look so good together? Like seriously! And no, there was no photoshop on Alexis's complexion... she is flawless just like that in real life! Jensen looked sharper than ever and together, they naturally photographed so well. Picture perfect indeed! 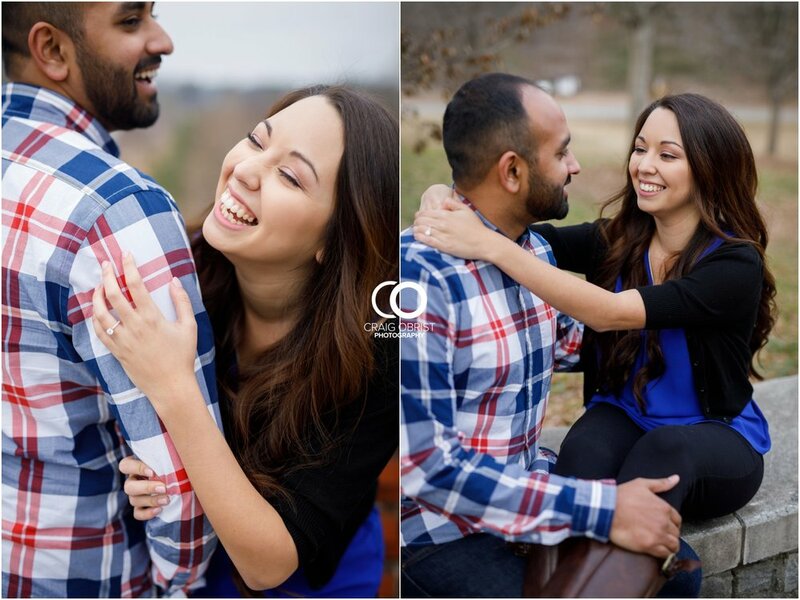 Can't wait to see how fabulous they will look on their wedding day! Alexis + Jensen, we enjoyed our time with you guys! You made it more like hang out time than work for us! 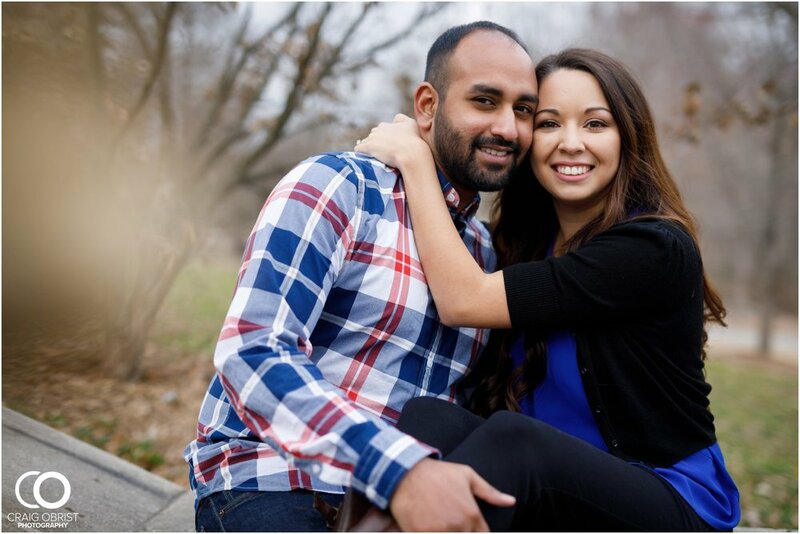 We hope to get to know you guys more and more and we are patiently waiting for your wedding day to arrive. What a celebration it will be! Thank you for trusting us... and choosing us to be part of your wedding journey. It means so much more than we can express especially when you guys always give us kind, encouraging words! Our most sincere congrats to you and as you look at these photos, we hope that it will always remind you of God's love for you both and the gift that He has graciously given you to live this life together and not alone. We love you guys!